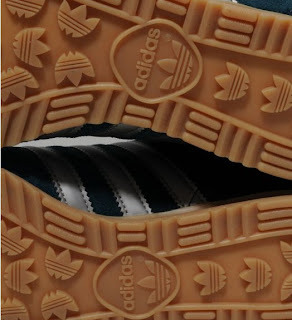 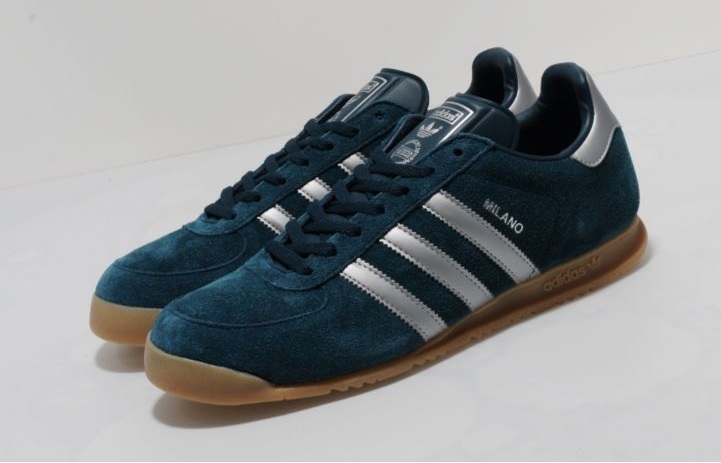 Originally released as part of the famous 'European City Series' in 1970's, the Milano was initially intended as an indoor gym/training shoe, it gained its strongest following of fans on the terraces of Britain's football stadiums throughout the 1980's who favoured its lightweight, durable design and rare/sought-after appeal. 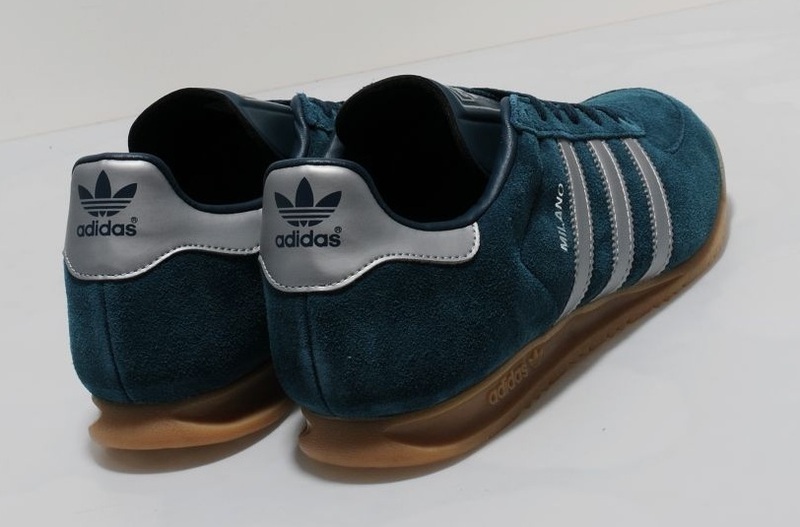 This from the adidas Originals Archive, is presented in a premium suede upper in deep petrol colourway, sat on the classic textured gum mid sole. 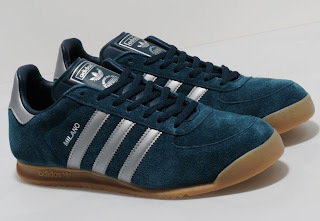 Other features include the metallic silver stripes and heel tab and a thinly padded tongue with embossed metallic silver branding.